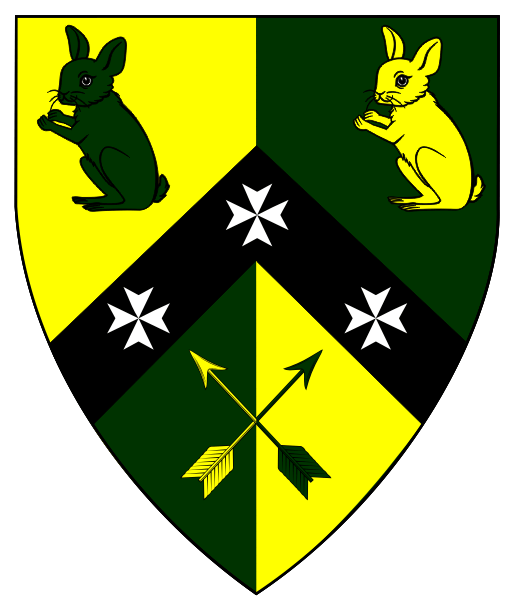 Vert, a chevron embattled ermine and in chief two falcons striking respectant argent. 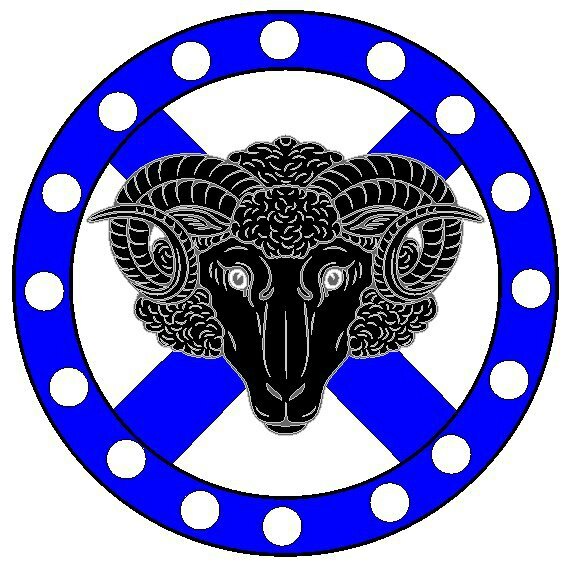 Argent, a saltire azure surmounted by a ram's head cabossed sable, a bordure azure platy. 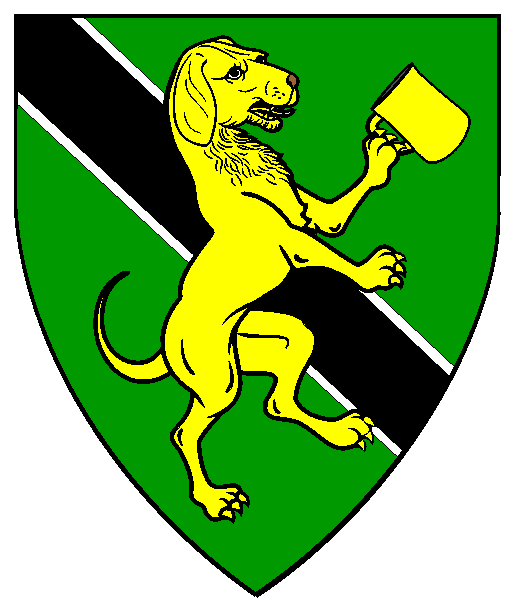 Vert, a bend sable fimbriated argent, overall a talbot rampant contourny maintaining a mug Or. 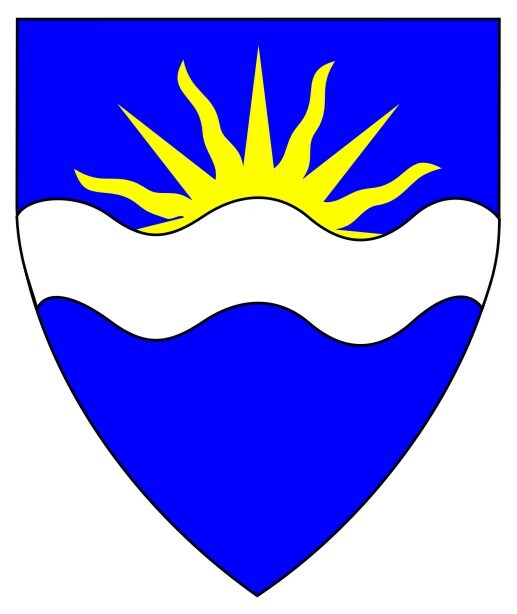 and two arrows inverted in saltire counterchanged three Maltese crosses palewise argent. 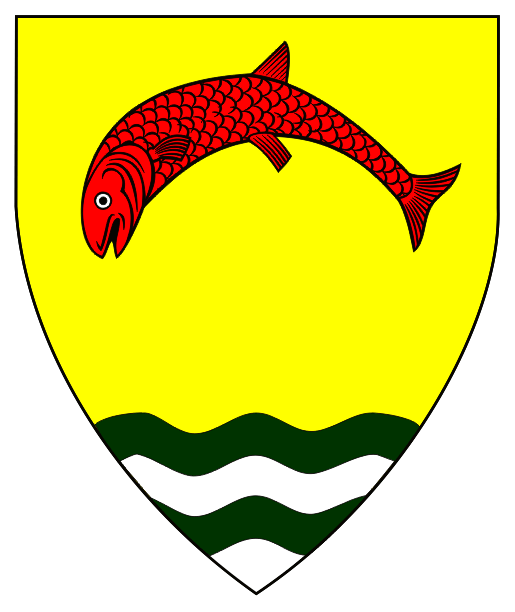 Or, a salmon embowed gules and a base wavy barry wavy vert and argent. 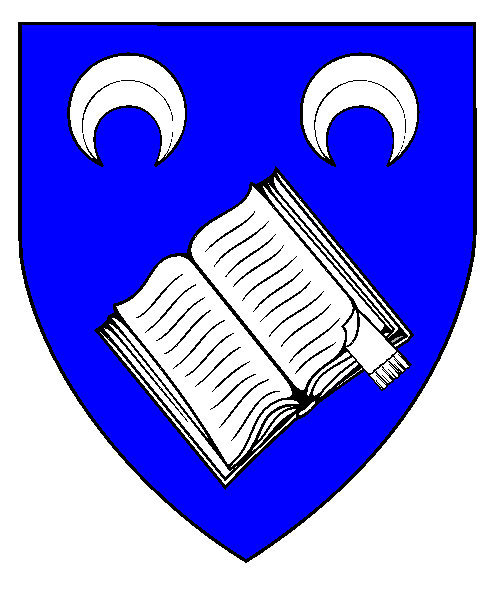 Azure, an open book bendwise and in chief two crescents pendant argent. 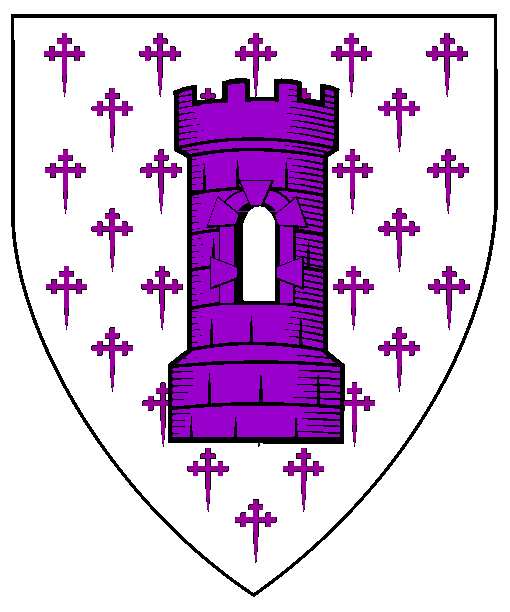 Argent crusilly fitchy, a tower purpure. 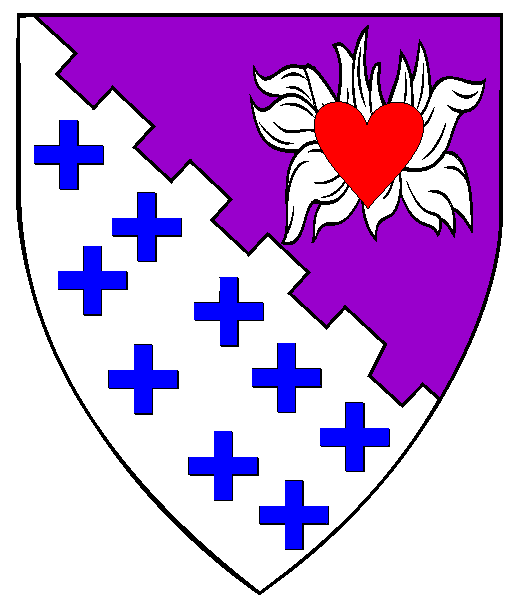 Per bend embattled purpure and argent crusily couped azure, on a flame argent a heart gules. 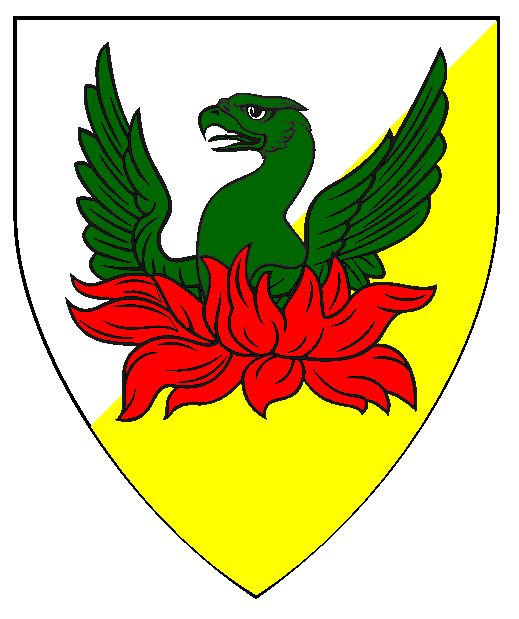 Per bend sinister argent and Or, a phoenix vert rising from flames gules. 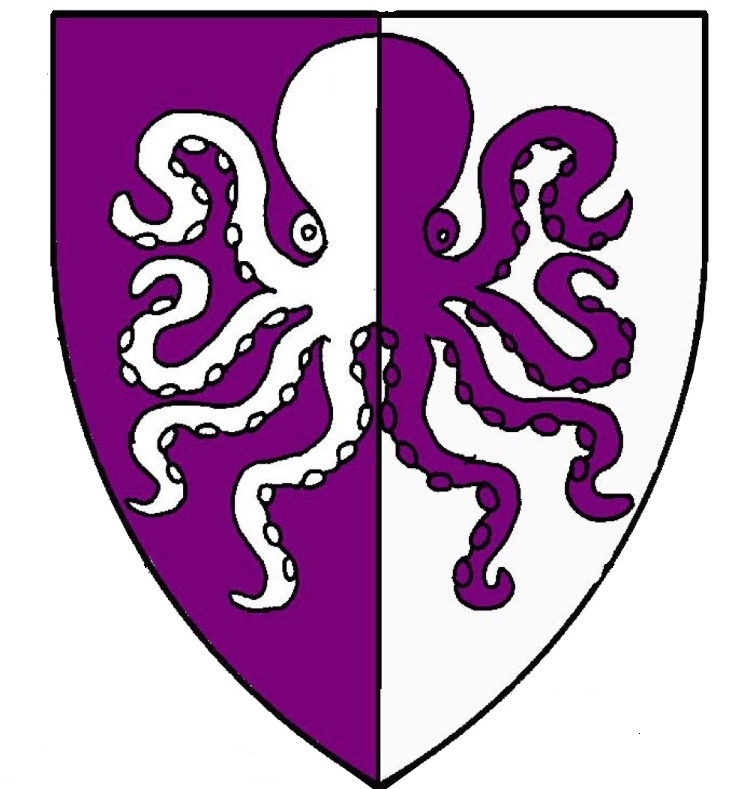 Anyone can register a 'device' before receiving an 'Award of Arms'. 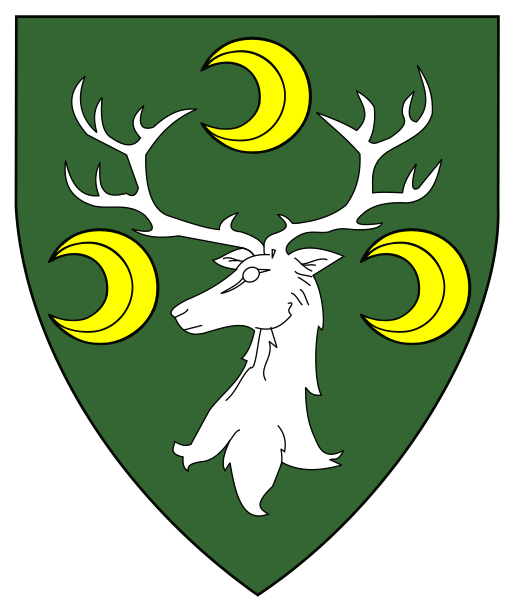 Per pale argent and vert, a serpent nowed and a chief dovetailed counterchanged. 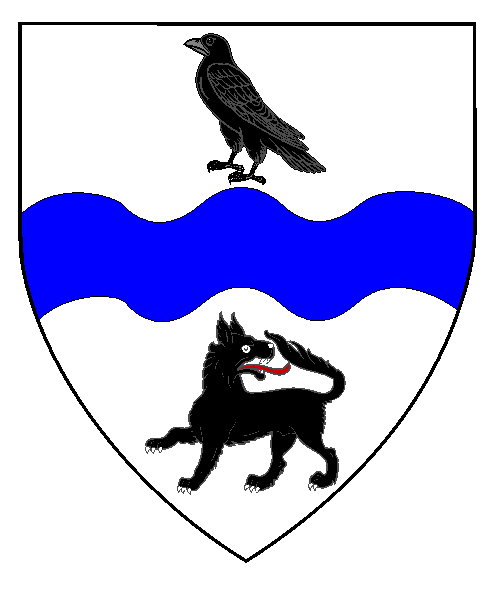 Azure, issuant from a fess wavy argent, a demi-sun Or.